An Inquiry established under the Inquiries Act 2013 is independent of the Government. Inquiries investigate and report on any matter of public importance – in this case, mental health and addiction in Aotearoa New Zealand. An Inquiry is established by one or more Ministers and reports directly to the appointing Ministers – in this case the Minister of Health, who commissioned this Inquiry. The scope of an Inquiry is established in its Terms of Reference. What are Terms of Reference? What does the Inquiry hope to achieve? We – the Inquiry Panel – want to set a clear direction for the next five to ten years that Government, the mental health and addiction sectors and the whole community can pick up and make happen. Our purpose is to identify unmet needs and develop recommendations for a better mental health and addiction system for Aotearoa New Zealand. We are looking at how to prevent mental health and addiction problems, how to intervene early and respond better to people in need, and how to promote wellbeing. We aim to generate hope and make real, positive change. We will recommend solutions that are practical and doable – for the short and long term, at national and local level. How does the Inquiry hope to achieve its aims? The Inquiry is led by a Panel of six New Zealanders with diverse backgrounds and unique experiences. We will work alongside a secretariat team including researchers and analysts at the Department of Internal Affairs (DIA) as per the Inquiries Act 2013. Given the interwoven nature of the issues and the scope of what we have been tasked to do in the Terms of Reference, the Panel and wider team will work closely with the Ministry of Health and the health sector, as well as people from across the following government agencies: New Zealand Police, Ministry of Justice, Department of Corrections, Oranga Tamariki – Ministry for Children, Ministry of Social Development, Ministry of Education and the Treasury. The Inquiry will also seek input from Housing New Zealand, Ministry of Business, Innovation and Employment, Accident Compensation Corporation and Ministry of Civil Defence and Emergency Management. Find out more about The Panel. What is the budget for the Inquiry? The amount budgeted for the Inquiry is $6.521 million. Further information about the budget can be found in the attached document available on our website. How long will the Inquiry take? We are required to report to Government by 30 November 2018. Go to Key Dates for the Inquiry's milestones. Will there be one consultation document and process for mental health and another for addiction? No, there will be one consultation document. However, the Inquiry panel recognises the needs of users of mental health and addiction services often differ. There will be opportunities to engage on all issues of concern. Will the submissions be public? When the Inquiry has reported to the Government, its records could be requested and made public. You can request that your personal information is made private, subject to legislation such as the Official Information Act 1982, the Privacy Act 1993 and the Code of Health and Disability Services Consumers' Rights. Find out more legal information about your submission. Will the content of my submission, if used in the Inquiry report, be confidential? It is possible that some content from submissions, for example, personal stories and experiences, may be referenced or included in the Inquiry report. As a matter of good practice, personal information will be excluded and stories and experiences will be anonymised where possible. We will not make public any information supplied under an expression of confidentiality. Submitters may point out sections of information they do not want included in any way, even anonymised. Find out more legal information about your submission. How will the Inquiry manage the confidentiality of written and oral submissions? The Inquiry will store all information on a secure database at the Department of Internal Affairs. No information will be shared if it is disclosed as confidential. Submitters can indicate if they are providing a private written submission or requesting a private oral hearing. Find out more legal information about your submission. How will the Inquiry manage sensitive issues? face-to-face engagement – we aim to talk directly with people in the community as much as we can, given our tight time frame. Can I release my own submission? Yes, you are welcome to make your submission public with others. When will the report be publicly available and where? On 28 November 2018, we presented He Ara Oranga : report of the Government Inquiry into Mental Health and Addiction to the Government who released it on 04 December 2018. Will anything change before the published report in November? It is for the Government to decide how to respond to the Inquiry's report after 30 November. In the meantime, the Terms of Reference state that ‘the Government is already taking steps to address some immediate service gaps and pressures, including increasing funding for alcohol and drug addiction services, increasing resources for frontline health workers, putting more nurses into schools, extending free doctors’ visits for all under 14-year-olds, providing teen health checks for all year 9 students and providing free counselling for those under 25 years of age’. How will the Inquiry work? Hold public and private meetings, hui, fono and forums around the country – with national and local agencies and stakeholder representatives, as well as people who come to us with advice, helping us decide where to visit. What services and interventions does this Inquiry cover? The Inquiry will make recommendations to improve the structure of public services that treat mental health and addiction, and to prevent mental health and addiction problems developing. The Inquiry will have a specific focus on preventing suicide and the support available to people after someone has committed suicide. The Inquiry will focus on equity of access and better outcomes, especially for Māori and other groups that we know have the poorest outcomes. What won't the Inquiry cover? The Inquiry will not review individual incidents or cases within current services. These are expressly outside the Inquiry’s Terms of Reference. The Inquiry Panel will refer individual incidents or cases within current services to the appropriate pathway, for example the Health and Disability Commissioner or relevant authorities. If you have a complaint about a specific health practitioner or organisation, you can complain directly to them. If you’d like support making a complaint you can contact the Nationwide Health and Disability Advocacy Service. The Advocacy Service phone number is freephone 0800 555 050 and the email is advocacy@advocacy.org.nz . People also have the legal right to make a formal complaint to the Health and Disability Commissioner. The Commissioner’s Office can be contacted on freephone 0800 11 22 33 or by email to hdc@hdc.org.nz . Will the Inquiry review legislation such as the Mental Health (Compulsory Assessment and Treatment) Act 1992 and the Substance Abuse (Compulsory Assessment and Treatment) Act 2017? The Inquiry will not undertake formal reviews of legislation but recommendations may require legislative changes. Are New Zealand’s suicide rates and services for those at risk being considered by this Inquiry? Yes, this Inquiry has a focus on prevention, including preventing suicide. Will the Inquiry take into account the broad range of work already done to define problems with mental health and addictions services and the suggestions for improvement? Yes, the Inquiry will build on the knowledge and work already done. Many of the issues with the current system are already known and voiced by government agencies, providers and users of mental health and addiction servicers, their families and whānau. We are determined to tap into this existing work and thinking about what is working well, what isn’t, where the gaps in services are, and what the potential solutions might be. We will draw on that knowledge, including reports, data, direct advice, personal stories, when assessing where the system is currently at, and making recommendations for the future. How will the Inquiry deal with the specific needs of those with addictions? The Inquiry recognises that people experiencing an addiction have different needs. There will be a range of opportunities for the addictions sector to engage, including direct meetings, panel forums and making submissions. When necessary, separate recommendations will be made to make sure meaningful changes to addiction services are included. Will the Inquiry engage in ways that respect cultural diversity? Drawing from our experience and key stakeholders’ input, we will create an engagement plan with distinct engagement methods for different stakeholder groups as per the Terms of Reference. While we will have an engagement plan, we can evolve and adapt as needed. Different Panel members will lead the engagement processes with different priority groups. For example, youth engagement will be led by Josiah Tualamali’i, who is experienced in supporting young people to speak and be heard about key decisions. 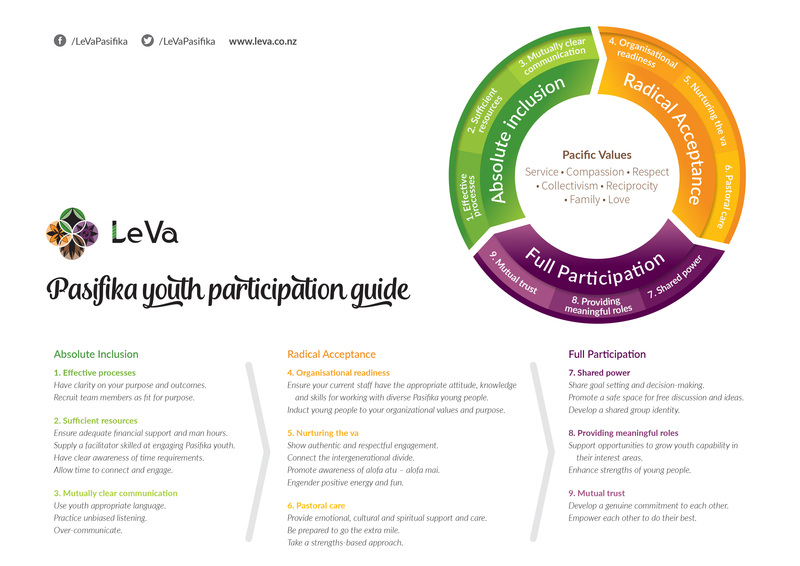 We will use tools like Shier’s Pathway to Participation(external link) and Le Va’s Pacific Youth Participation Guide(external link) to make sure we get this right. Every submission we receive will be reviewed by a team set up within the Inquiry Secretariat specifically for this purpose. All submissions’ content is 'coded' to a range of themes, and all this information is included in a database by theme so that it can be analysed (names of submitters are not included in that database). The team analyses all the content to identify what people are saying is going poorly, going well, and their ideas for the future. We also record people’s personal experiences and stories and quotes. The database will contain all content made, and there is an opportunity for queries to be run on any themes, or by group of person, to determine what has been said. This means that nothing is lost and everything that people have said is valued. Our analysis will include views based on a range of demographics, so for example we may discuss differences of views based on whether people are users of mental health and addiction services, or providers. Different ethnic groups’ perspectives of wellbeing, mental health and addiction services will also be assessed. How is the information reported? Reports will be developed for the Inquiry Panel. The Panel members will also review some raw submissions and have the ability to request review of any/all submissions, plus to delve into the database where all information is coded based on themes. In developing reports on what people have said, there are systems in place to ensure that the team undertaking the synthesis and writing of reports applies a consistent approach to that, and there are quality review steps in place to ensure consistency and accuracy of reporting. Given the number of submissions and the volume of information being provided (over 5200 submissions), reports will necessarily be summaries of the wider content, but having all information in one place as a database will facilitate the team and the Inquiry panel members being able to delve into the detail as needed during the Panel’s deliberations and development of its final report. Who are looking at the submissions? The team of people analysing submissions has a mix of ethnicities and gender, and there is a broad range of ages and experiences, including some with experience of/with the mental health and addictions sector. The team analysing submissions is very clear on the need to treat all submissions with due respect and attention, and confidentiality. We have placed considerable emphasis during recruitment of team members to ensure that all Secretariat staff share the values of the Inquiry. Will the Inquiry’s recommendations be specific? Yes, we will recommend solutions that are practical and doable - for the short and long term and at national and local level. We envisage specific recommendations about mental health, addiction and suicide prevention that take into account the needs of each priority group identified in the Terms of Reference. Will the recommendations be for Government only? No, the Inquiry will make recommendations that the mental health and addiction sectors and the wider community, as well as Government, can pick up and make happen. Will the outcomes of the Inquiry affect funding for services? Yes, the Inquiry report will likely look at funding implications and recommendations for the future, but the Government will ultimately decide on funding in the 2019 budget and in later years. Who is responsible for implementing the Inquiry’s outcomes after November 2018? Once we have provided our report to Government and it has been made public, the Inquiry has no official capacity or powers. The report will be a mandate for action. It will specify proposed roles and responsibilities in order to implement the recommendations will help – for Government, the mental health and addiction sectors and the broader community. However, Government will decide whether the recommendations are accepted and resourced. If Government does agree with and support the proposed changes in the Inquiry's report, it will then be up to all stakeholders to translate the recommendations into real change. What happens after the Inquiry's report is published? The website will continue to have all the relevant information with a link to the Inquiry's report He Ara Oranga released by the Government on 04 December 2018. Do the panel members have any current powers? No their responsibilities ceased at the handover of the report on 28 November. They are now functus officio. Is the Secretariat for the Inquiry still operating? The Secretariat will continue to operate in a limited capacity until 21 December 2018. If I have questions about the Inquiry after 21 December who do I contact? You will need to contact the Department of Internal Affairs at info@dia.govt.nz. What recommendations will be implemented and when? That is a decision for the Government. Questions can be directed to the Office of the Minister of Health. I would like to talk with one of the Panel members. Can I do this? They are now functus officio which means they have ceased to be panel members because the Inquiry is now formally completed. Former panel members may make general comment about the approach and process of the Inquiry and the key themes but are not planning to discuss the report in detail. The report is over 200 pages and is a comprehensive presentation of the panel’s position. I’m not happy with the Report – what can I do? The Report has been delivered to Government. The former panel members expect there will be public discussion and debate as would be the case with any such Inquiry report. The panel might make some general comment about the Inquiry approach, process, approach, etc. The response of the Government is their responsibility. For matters relating to the response to the Inquiry report, please contact the Office of the Minister of Health.